Reunions history: It is generally believed that the first “official” school reunion was instigated by members of the 1967-1974 year group. This commenced at The Blenheim pub at 7.07pm on Thursday 7th July 1977 (know as ‘7-7-77′) and over 90 attended spilling into Loudoun Road. This kick-started an annual gathering up to ‘9-9-99′ – after which time when we got confused with the millenium numbers and gave up on the plan! 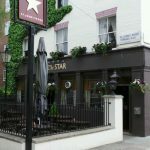 The Star: Following a hiatus lasting a decade, reunion meetings re-commenced on 10th October 2010 (‘10-10-10′) at The Star pub, St Johns Wood. To suit diaries the day was changed to a Saturday and from 2015 it was decided to change the meetings to mid-year so as to enjoy the better weather. 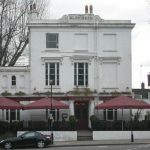 Present day: When The Star closed (to become a luxury home, subsequently failing planning) we moved the the current venue: The Ordnance Arms, 29 Ordnance Hill, London NW8. 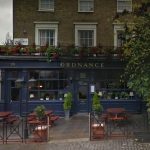 We will continue to meet here from around 7pm onwards on the first Saturday in June until further notice and will post reminders on this site. As always, pupil and teachers from any year groups, plus interested parties are most welcome to join in. Please send details of other reunions for inclusion on this site.